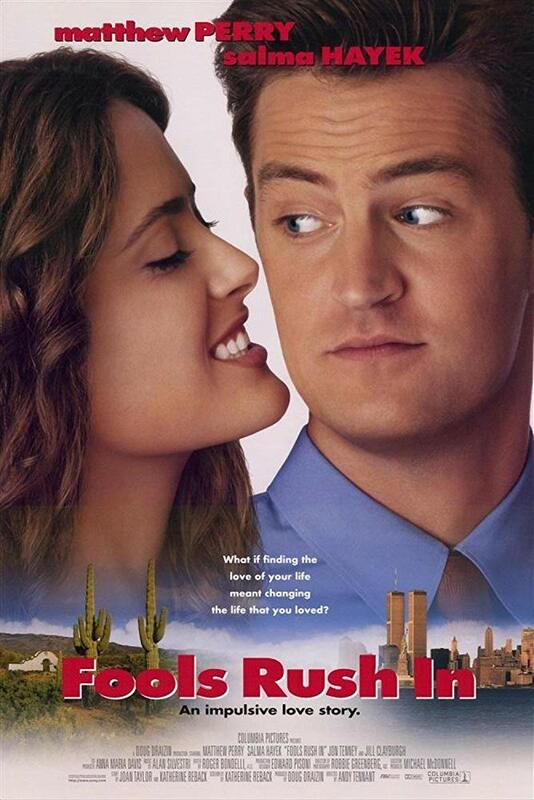 Quintessentially 90’s yet surprisingly progressive for its time, Fools Rush In is a smooth talking charmer of a film, and one far deeper than it appears to be when you glance at the poster. There’s really nothing ostensibly special about it either. Two potential lovers meet, their different backgrounds become battlegrounds, and the strength of the bond they have managed to forge is tested. So what sets this one apart? What makes it different? Perhaps that this movie holds up so well over time, which undoubtedly can be attributed to the goodness of the characters we fall in love with as they cautiously and quickly fall in love with one other. They are good and they make us feel good. Fools Rush In doesn’t try to camouflage this fact as most romantic comedies do; instead the picture celebrates it. It’s the holidays. 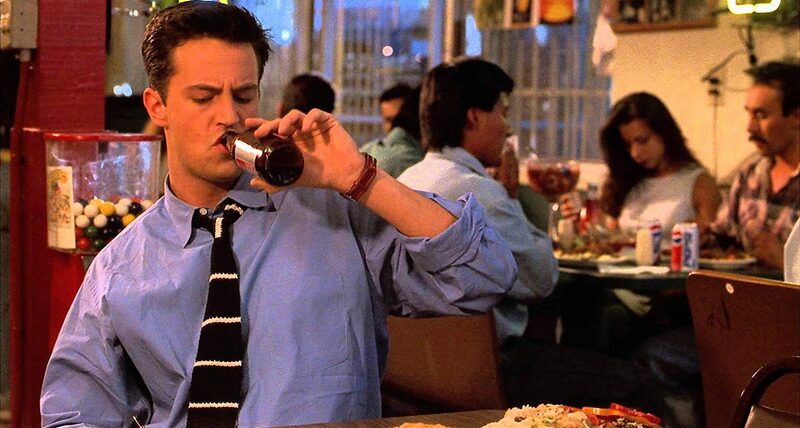 Alex Whitman (Matthew Perry) lives in New York, seemingly sleeps in his business clothes, works on architectural developments until he’s tasked with overseeing the construction of a Las Vegas club. Work takes him more places than personal want ever does, and this is where he stumbles across Isabel Fuentes (Salma Hayek), a hopeful and idealistic photographer with one foot firmly planted in her massive Hispanic family’s Christian faith and the other tip-toeing in and out of Mother Nature’s unpredictable fate. Alex mainly prescribes to capitalistic ideologies, but he knows what he wants when he see it, as does Isabel. In this case they want each other. Why should they be denied the opportunity to lust and to lose and to potentially fall in love? Fools Rush In doesn’t just settle for showing us what it means to be in love, but is more interested in showing us how important it is to learn how to love somebody else more than yourself. Doing so can cross barriers and demolish walls. There’s such a bilingual, cross-cultural charm to this picture, and it’s encouraging to see two different people from two different backgrounds come together no matter how unlucky their potluck scenario might be. It’s important that the film includes the parents too, never shying away from incriminating them on the grounds of their own racial bias and prejudice. These scenes are absolutely pivotal. Isabel is attracted to Alex and his nervous vulnerability, that which she’s never experienced around her own male family members. Alex’s eyes initially loom on Isabel’s body and her unpredictable attitude, but the camera slowly trends towards her saccharine sense of adoration for his clumsy and goofy oddities. It’s simply too sweet, too real, too tender to resist. They are kind. They are good. They are pleasant. So many movies try to over complicate things by trying to make the main characters into more than they really are. It’s enough that they are capable of loving, and in this case, loving each other. 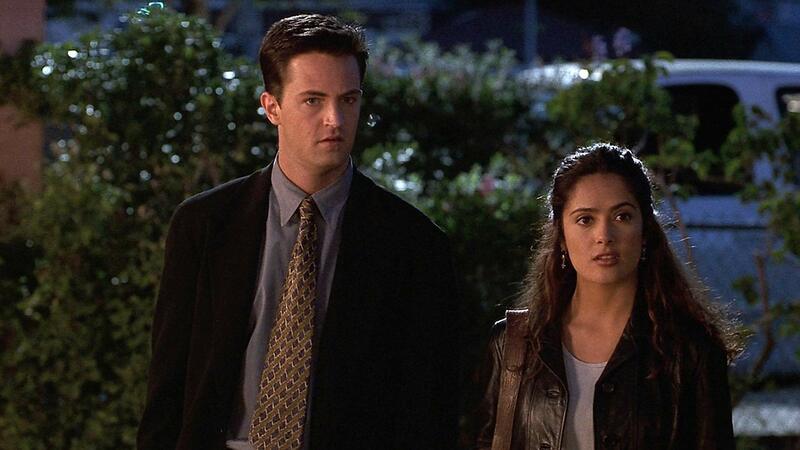 Fools Rush In briefly falls for the devil’s trick though, introducing two awkward and increasingly unappealing “friend” characters who become ancillary jokers, although these personas played regular roles in most films and sitcoms from the late 90’s. Fools Rush In relies on serendipity, the currency of a good kiss, and briefly over-estimates the loving looks you give or take along the way. There’s a truth to this romantic comedy though. Some people and some beliefs and a few good things are worth chasing in this life, and sometimes they blindside you on an otherwise casual Monday. Take the hit. Absorb the blow. Allow yourself to be a fool. Then when you’re once again steady and ready, rush in for more.